Today I want to share with you these paragraphs from “The Matthew Henry Commentary on the Whole Bible,” on the Lord’s last Supper. Henry explains clearly the symbolism of the Passover and the Old Moses covenant and the New Covenant seal with the precious blood of Jesus, through His sacrifice on the Cross. III. The institution of the Lord’s supper, Luk_22:19, Luk_22:20. The passover and the deliverance out of Egypt were typical and prophetic signs of a Christ to come, who should by dying deliver us from sin and death, and the tyranny of Satan; but they shall no more say, The Lord liveth, that brought us up out of the land of Egypt; a much greater deliverance shall eclipse the lustre of that, and therefore the Lord’s supper is instituted to be a commemorative sign or memorial of a Christ already come, that has by dying delivered us; and it is his death that is in a special manner set before us in that ordinance. The breaking of Christ’s body as a sacrifice for us is here commemorated by the breaking of bread; and the sacrifices under the law were called the bread of our God (Lev_21:6, Lev_21:8, Lev_21:17): This is my body which is given for you. And there is a feast upon that sacrifice instituted, in which we are to apply it to ourselves, and to take the benefit and comfort of it. This bread that was given for us is given to us to be food for our souls, for nothing can be more nourishing and satisfying to our souls than the doctrine of Christ’s making atonement for sin, and the assurance of our interest in that atonement; this bread that was broken and given for us, to satisfy for the guilt of our sins, is broken and given to us, to satisfy the desire of our souls. And this we do in remembrance of what he did for us, when he died for us, and for a memorial of what we do, in making ourselves partakers of him, and joining ourselves to him in an everlasting covenant; like the stone Joshua set up for a witness, Jos_24:27. 2. 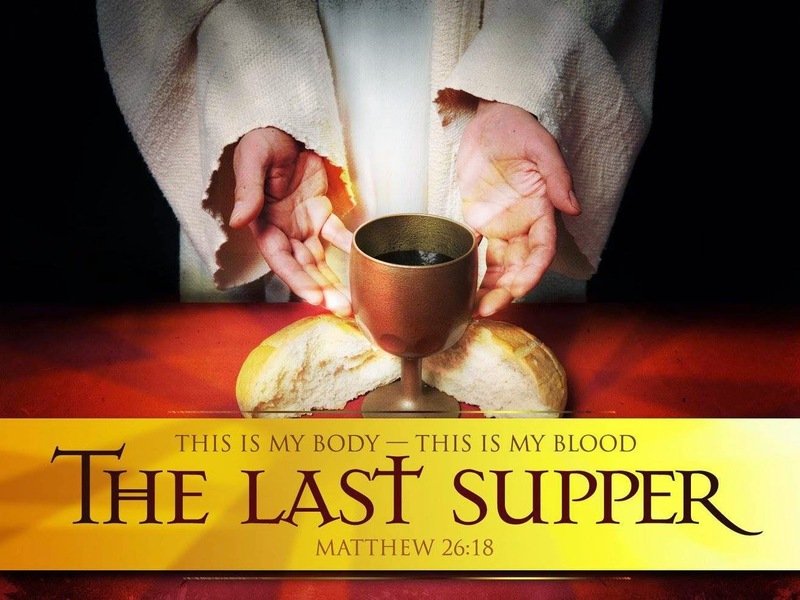 The shedding of Christ’s blood, by which the atonement was made (for the blood made atonement for the soul, Lev_17:11), as represented by the wine in the cup; and that cup of wine is a sign and token of the New Testament, or new covenant, made with us. It commemorates the purchase of the covenant by the blood of Christ, and confirms the promises of the covenant, which are all Yea and Amen in him. This will be reviving and refreshing to our souls, as wine that makes glad the heart. In all our commemorations of the shedding of Christ’s blood, we must have an eye to it as shed for us; we needed it, we take hold of it, we hope to have benefit by it; who loved me, and gave himself for me. And in all our regards to the New Testament we must have an eye to the blood of Christ, which gave life and being to it, and seals to us all the promises of it. Had it not been for the blood of Christ, we had never had the New Testament; and, had it not been for the New Testament, we had never know the meaning of Christ’s blood shed.